Beneficiary designations are vital in executing a client’s estate plan, and an advisor’s understanding of all the beneficiary options available is equally as important. When a client names his or her spouse or children as beneficiaries of an IRA, most advisors are comfortable with the options those beneficiaries will have when it comes time for them to receive assets and take required minimum distributions (RMDs). 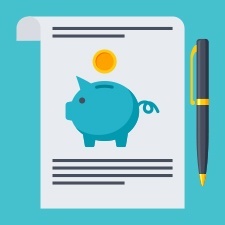 Things become far less clear, however, when a client wants to break from the norm and use a more complex beneficiary designation—particularly naming a trust as an IRA beneficiary. For these clients, a typical IRA beneficiary designation form will not provide them with the level of control they need. Let’s look at an example: Your client, John Smith, is on his second marriage and has children from his first marriage. He has named his second wife, Peggy Smith, as the primary beneficiary on his IRA. He has expressed to Peggy that he would like his children to receive the IRA assets after Peggy passes away. When John passes away, Peggy will receive his IRA assets and could choose not to name any of John’s children as her beneficiaries. Even if Peggy does name John’s children as her beneficiaries, she may exhaust the IRA assets, leaving nothing for John’s kids. As another example, suppose your client is Mary Jones, who is a single mother to three children: her youngest son, who has special needs; her middle daughter, who has a spouse that Mary does not like or trust; and her eldest son, who has budget management issues. Mary wants to ensure that her special needs child is not disqualified from receiving government aid simply because he receives a portion of her IRA upon her death. She also wants to be certain that her daughter’s spouse never has access to her daughter’s share of her IRA after she passes. And, finally, Mary wants to be sure that the portion of her IRA that her oldest son receives is protected from his creditors. In each of these scenarios, the best way for your clients to accomplish their goals is to name a trust as their IRA beneficiary. For advisors, however, this can lead to confusion about the rules surrounding the establishment of an inherited IRA when the client passes away, as well as how RMDs will be handled. It is valid under state law. It is irrevocable or becomes irrevocable upon the death of the IRA owner. It has identifiable beneficiaries—meaning no entity beneficiaries. A copy of the trust document is available to provide to the IRA custodian by October 31 of the year following the IRA owner’s death. If the trust is considered “see-through,” then RMDs may be stretched over the life expectancy of the oldest named beneficiary in the trust document. In some cases, clients will come to you wanting to name an existing trust as their IRA beneficiary. Existing trusts may not qualify for “see-through” treatment, however, which could result in high income distributions to the trust beneficiaries or increased taxation to the trust itself. Depending on the type of trust, clients may be able to pay their attorneys to revise the document so that the trust is considered “see-through,” but likely at a cost in excess of $1,000. Additionally, for some clients, their IRAs may be the only assets they will be giving to their heirs, and the cost of establishing a trust for such a limited purpose may be exorbitant. For such cases, the IRS has approved the use of a trusteed IRA, which can often be established at a much lower cost. A trusteed IRA is an IRA that is governed by the terms of a trust document. A financial institution serves as trustee and controls the account according to the trust’s terms. This is in contrast to a typical custodial IRA, which is held by a financial institution, but is solely owned and controlled by the individual owner. The trusteed IRA can be thought of as an IRA in a trust wrapper. For your clients, it means that distributions from the trusteed IRA after their death are governed by the terms of the trust document. While this same result can be achieved when you name a trust as an IRA beneficiary, the trusteed IRA is typically significantly cheaper—particularly when offered through a financial institution directly (rather than drafted by an outside attorney). Many financial institutions, such as Merrill Lynch, Vanguard, and Northern Trust, offer a trusteed IRA, but they require that the assets be held on their platform. Wealth Advisors Trust Company (WATC) has created the first custodian-neutral trusteed IRA option called the SmartIRA™. The SmartIRA™ allows your clients to establish their trusteed IRA trust documents for only $250. WATC serves as the trustee (subject to WATC’s standard trust administration fee schedule), and you, as the advisor, can manage the assets through the custodian of your choice. For clients who want to retain additional control over their retirement assets, naming a trust as their IRA beneficiary is an ideal option. And for those clients who want the same level of control but wish to avoid high attorney fees, the SmartIRA™ may be a great solution. Be sure to stay up to date on the available IRA beneficiary options so that you’re prepared to answer your clients’ questions and present the best plan for their IRA assets based on their individual circumstances. Have your clients benefited from naming a trust as an IRA beneficiary? What solutions do you offer to clients who wish to retain control over their retirement assets? Please share your thoughts with us below.